Your RV has been sitting idle over the winter. Now the early signs of spring are here and it’s time to take it out of storage and prepare the coach and chassis for this years camping season. If you’re like me, you want to have some type of logical sequence to follow rather then haphazardly checking the unit out. I made a simple checklist to use so that nothing is overlooked. I prefer to do the majority of spring preparation myself. If you’re more comfortable having someone else do it you can schedule an appointment with a reputable RV service center to have it done. * Depending on how your unit was winterized it will need to be de-winterized. If you used non-toxic RV antifreeze you need to run fresh water through the entire system until all traces of antifreeze are gone. To remove it from the 12-volt water pump add water to the fresh water-holding tank, turn the pump on and open all water faucets. When the antifreeze is out of the system turn the pump off and take the water heater out of the by-pass mode (if applicable). Re-install any water filter cartridges you removed for storage. * At this point I like to sanitize the water system. Make sure all of the drains are closed and drain plugs are installed. Take a quarter cup of household bleach for every fifteen gallons of water your fresh water tank holds. Mix the bleach with water into a one-gallon container and pour it into the fresh water holding tank. Fill the fresh water holding tank completely full of water. Turn the water pump on and open all faucets, run water until you smell the bleach. Close the faucets and let it sit for at least twelve hours. Drain all of the water and re-fill the tank with fresh water. Turn the pump on and open all faucets until you no longer smell bleach. It may be necessary to repeat this process to eliminate all signs of the bleach. * With the water system under pressure inspect for water leaks. Check the operation of the toilet. * Wash the unit thoroughly. This is a good time to inspect the roof and body seams, and window sealants for cracking that would allow water to get in. Consult a dealer for sealants compatible with these materials. * Inspect the operation of the awning and clean the awning fabric as required. * Inspect the tires for signs of dry rot. Inflate all tires to the recommended COLD tire pressure. * Lubricate all hinges and locks with spray lubricant. * Remove any tape or protective covering you may have put over LP gas vents to keep insects and rodents out. Check any mousetraps you may have put out. Open all doors and compartments and check for rodent intrusion and water damage. * Inspect and clean the interior. Work, leadership, institutions and culture are interrelated and integral to positive psychology. All people tend to identify themselves with work. People even introduce other people, such as: "She is Mary, a psychologist." If people do not work and do not make money, their self-esteem decreases. Work adds or does not add purpose to life. Work, whether it is paid or not, is a big part of life. Even if people were financially free, people would still do something with their time, after getting all the fun and travel out of their system. Therefore, happiness at work transfers and contributions to people's life happiness. Work naturally shapes people's network or circle of influence, as humans like to group up with people who share commonalities with their work, industry, and professional experiences. Furthermore, studies show that satisfied workers have higher work titles than unsatisfied workers. Employers like high energy workers as they are effective, accomplish tasks in less time and do not use sick days. Most coaches agree with Myers' findings, as they see these results in the organizational coaching they conduct. Workers, who live chaos free, stay organized, accomplish tasks in less time than workers who are not disciplined, and are chaotic. Everyone can think of a time when she or he has become overwhelmed, as a result of too much work, and can not function and think intelligently. Individuals can also think of times when they were not stimulated at work; their work was repetitive and meaningless. Studies have shown that the workers who thrive, are the ones who are continuously challenged in meaningfulful ways, so work can become fun and play. Karl Marx pointed out the importance of self-expressing yourself at work, for work satisfaction. Also, there has to be value in what people do. All jobs are necessary and each person needs others to be able to work and live. A vital skill is being able to transform perceived threats into healthy challenges. Another way for work and life happiness is to live intentally and take charge, versus reacting to what the universe may bring us. It is important to set intentions. Wellness overall depends on mindful challenges. In addition, using the principles of Positive Psychology, people can design positive intervention to achieve goals, including work and organizational goals. The success of workers depends on motivation and maximizing own potentials. People accept changes conditionally, depending if it makes sense to them. Gradual changes are more successful than drastic changes (Aspinwall and Staudinger 2003). Often people who implemented changes have little understanding of psychology, and, if they did, not only changes would happen more smoothly, but organizations overall would be more profitable. It is the duty of psychologists to educate organizations about the psychological principles governing companies that are made by people! Currently there exist a number of life science societies in India. The names being diverse, purpose indeed remains the same. These societies are aiming to bring people on a universal platform and popularize science. Certain initiative needs to be incorporated in order to popularize science, which is necessary for its further betterment in the society. The increased effort by the prevalent societies needs more focused perspective. Current outlook is more towards increasing the awareness of science within the community, also there is interdisciplinary work carried out by some of these societies. The efforts should be directed not just to gather these intellectual and students on a common platform but also to inculcate the habit among them to interact in near future. Directives should thus be towards creation of a scientist, teacher, entrepreneur and most significantly an intellectual. There should be an increased researcher-educator partnership between both, the educators of science and scientists to teach science as it is practiced. There is a communication gap, which is commonly observed between both the scientist and a teacher. The use and conception of improved facilities, update knowledge and productive interactions between the scientist and teacher should be practiced. Inclusion of teaching, research and human research development must also be a part of the process. Programs should be initiated to enhance interactions among the groups. This interaction is indeed strong and affected. There is day-to-day interaction and discussion within members of this group. The popularization of science is a positive feature that can be initiated by this group. Apart from academies the vision needs to be set towards popularizing science in near future. In many institutions and colleges the incorporation of research projects as part of the curriculum has generated zeal amongst the young generation towards research and science. In most of the cases the reach of students towards science and or scientist is limited. There is lack of knowledge among students about research her dialogue dialogue needs to be established within the scientist-student community. In recent years the communication between these communities is possible by the means of interactive sessions and program such as conferences, symposia, guest lectures or open forums. But what is the life of this talk? Does the discussion ends within four walls of the conference room? What are the numbers favored under these program? What about the grassroots levels initiatives? One of the initiatives in this respect is launch of science magazines. In recent years there has been an increase in the number of science-based magazines. Science magazines was previously more focused towards particular age group readers, it now joins more diverse readers. To some extent the scientific magazines have proved to reduce the barriers. But how many of them afford to purchase or read these magazines? Data science is basically the application of a combination of mathematical, statistical, analytical and programming skills for the collection, organization and interpretation of data to allow effective and proper management of the business whose data it is. The job of such a scientist is trending all over the world. The demand for such a scientists is huge, more than the number of available candidates. A recent report explained that the demand for these scientists has increased by more than 50% since last year. These scientists, often referred to as big data wranglers, are a perfect blend of mathematician and computer scientist. They are the analysts who perform data science. Their job is concerned with performing research and analyzing data in order to extract useful insights from the raw facts and figures and then translating the insights into useful information to assist the organizations by predicting growth and development. They assist the organizations in finding the solutions to the business problems and issues by analyzing the data utilizing their skills and expertise. WHO CAN BE A DATA SCIENTIST? The data scientist is the one who can perform many different aspects of data crunching but not necessarily be an expert in any of them, which in short is termed as a ‘jack-of-all-trades’. The person who wants to become a data scientist must possess mathematical skills, statistical skills and programming skills and needs to have a detailed understanding of all of them. This person also needs to have strong business knowledge so that he/she can go through the business problems completely and can build strong business strategies for the future. Only then will you be able to apply your skills effectively in the organization in which you will be employed. Top companies as well as startups are in need of data scientists because of the enormous amount of data flowing in the organizations’ databases. The top business concerns include Flipkart, Amazon and LinkedIn and the startups include Accenture, Heckyln and DataWeave. They are in huge demand by the above mentioned corporations and startups. The salary prospects are high, ranging between 5 lakhs to 1 Crore. The huge demand indicates how their role transforms the organization into a more successful and profitable one. These scientists (the Big Data wranglers) assist the organization in making smart and logical decisions, increasing the business profitability and assisting them to travel on the path of growth and development. *Want a Bachelor’s degree in Entertainment Business? *How about a certificate in Mediation? *Or a Masters in Internet Marketing? You may laugh or chuckle at the names of these programs, but they are real. Not only are they real, but they are gaining the curiosities of many individuals changing careers and starting new businesses. The news of layoffs continues and people are taking the chance at venturing into more creative and exciting new careers. Whether you are searching for the online learning experience or traditional colleges, many post-secondary institutions are taking a look at their current programs and adding new ones to diversify people’s interest. If you are one of the thousands that have had a peaked interest in going to school or returning to college for whatever reason and having thoughts if this is for you, take in mind, these majors can take you places if you are determined. Well critics may ask is a degree in Masters degree in Media Psychology worth it in the real world? It may be if you work for an enterainment mogul needing help with an analysis of the psychological influence on new media projects, internet businesses, or radio programs. Whatever degree or program you choose, you are going to need to be committed and determined to become successful in these areas. *Research the demand in your field of choice. If you see there is no demand for floral designers, it may not be a good idea right now to pursue a program in that area. However, if you believe that it will be something for you start a business in this field, by all means, you determination will result in your successes. *Be mindful of the institution you will attend. There are many “schools” out there that claim all sorts of accreditations, be on the lookout for diploma mills. *If you are creative, feed your creative bug…want a new career or business that will help explore it, then consider those programs that are accredited and has interesting program choices. *If your field of choice requires certification along with a degree, make sure that your state requirements line up with prospective school’s program plan. Nothing is worse than apply for certification and licensure, and your school and degree has no significance. Real Degrees From Real Colleges on the Web – Really! A national poll from 2006 disclosed that only 60% of Americans believed that young people should be taught the value of hard work and studying. One writer commenting on this statistic tried to spin it positively, by revealing that the figure was less than 40% among Europeans. But there is one group today where just about 100% would support the knowledge of hard work and study – people who are working for an online college degree. With the explosion of the "virtual world" of the Internet over the past decade and a half, we have witnessed the construction of a whole parallel world, except instead of brick and mortar and 2-by-4's, the buildings are made of bits , bytes and computer graphics. The grocery store down the street, the movie theater downtown and the bookstore at the mall all have counterparts, as well as competitors, in cyberspace. And now that colleges have made the move, people have a choice of sitting in class for two or four years or studying in a more flexible way, from home, to get an online college degree. Getting a college degree is not an easy thing to do, online or on campus. The research indicates that a person who goes to an online college for a degree is less likely to drop out, gets higher grades and has fewer specialist issues. These were the same finds some 30 years ago when an educational research group studied junior college students. Because they were older, more settled and knew what they wanted to do, junior college students, like today's online students, were more motivated, focused and, extremely, successful in school. There are economic and practical reasons that getting an online college degree is becoming a more popular option. People who previously could not afford college are finding lower-cost online alternatives. Parents of young children who could not get away even to a nearby campus can now study from home. Workers who had to keep their jobs and support families are scheduling their classes for evenings and weekends. Online colleges, trade schools and training institutions have actually performed a remarkable public service by making higher education, in the form of an online college degree, available to more people. This in turn increases the talent pool available to American industry and, along with continuing technological advances, raises worker productivity, economic forecasts and, extremely, the gross national product. As the term suggests, survey fillers are individuals paid to fill up online survey forms. It is their responsibility to supply honest responses to questions. This is because the information that they provide has the power to influence the fate of a product or brand. In fact, companies rely on their opinions to come up with significant business decisions. Survey fillers start with this profession by registering with an online survey company. They provide contact details and other information necessary to qualify them. If accepted, they will receive links to surveys, accomplish them and receive payment. These people receive overwhelming number of surveys in their electronic mails. The quicker they response to every review, the more they will be able to complete the full survey. The more forms they fill up, the higher amount of cash they will receive. Some payments, though, come in rewards. Survey filling is best for stay-at-home moms, retirees, college students and others. This is especially recommended for people who do want to work but do not want to spend 8 hours a day for it. They can take as many or as few surveys as they want. They can also choose which assignment to accept and when to do it. For instance, a mom who has a husband and kids to take care of can work when the kids and husband are out of the home or when they are asleep. Some persons are cynical about this job. This is because they find the payment too small at less than $5 dollars for an hour. But if survey fillers are to ask, this is not an issue only if the respondents are quick to provide data. They claim that they can earn between $1,000 and $2,000 dollars a year. This is by just investing 60 minutes of their time a day. If you are one among those interested in becoming survey fillers, you may consider signing up with two or more survey companies to maximize your potential to earn. It will require your honest answers, though, plus your patience in answering them. This is because the person who will review your work can sense if you are half-heartedly responding to questions. What Is the Purpose of Online Driver’s Education? Online driver’s education imparts learning skills and fundamental concepts pertaining to driving test so as to prepare distance learners for a driver’s license exam, irrespective of age-group. The driver’s education imparted from the online mechanism is certainly a boon to all those who, without moving to the desired location can reap the benefits for learning the basics and concepts related to driving in order to obtain a valid driving license. How is Online Driver’s Education Beneficial to a Person? 1. Online driver’s education programs are far more affordable and it usually takes a person to shell around $40 to get enrolled in an online driver’s education program, which is definitely a bargain! 3. The students can access their course contents from any of the preferred locations all over the world and can complete the online education program for driving skills without disturbing their other personal and/or professional commitments. 4. The students can fix their own time schedules and learning hours, which makes online driver’s education convenient and flexible. 5. The virtual classroom lends an impersonal impression and a student is an independent learner in the long run, since it has little interface to offer between a student and trainers. It also offers less inter-linking and inter-personal interaction and interface between virtual class-fellows, which wards off any chances of distractions. 6. 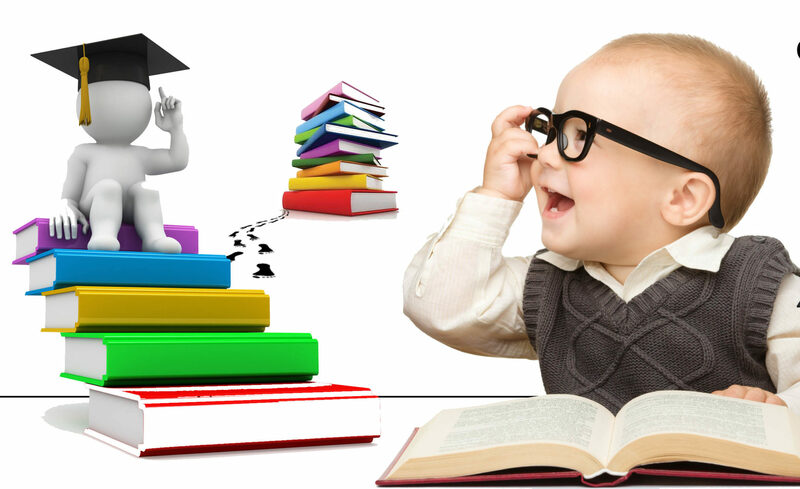 A student can attend virtual classroom sessions, discussions groups, newsgroups, forums and numerous other interactive activities at his/her own discretion and it’s up to a student to complete the pending online workbook assignment and get it checked and assessed by teacher via online learning management systems. 7. All that is needed in this online program is an internet connection and a flair for understanding and learning new and innovative concepts with the help of online learning tools and materials like audio/video/web conferencing, webinars, whiteboards, chats, forums, discussion groups, e-mails etc. What Is the Selection Criteria for Online Driver’s Education Program? The online driver’s education program is a student-centric and effective learning based program, which helps a student understand the fundamental concepts of driving so as to appear for the driving test and obtain a legal driving license. Distance learners must verify the accreditation of the online education program as well as the online driving school they have applied at for their online driver’s education. Since online training and distance learning education may have some important formalities on part of students before getting started, a student must verify all information and formalities pertaining to a selected course. What is “Green Driver’s Ed”?